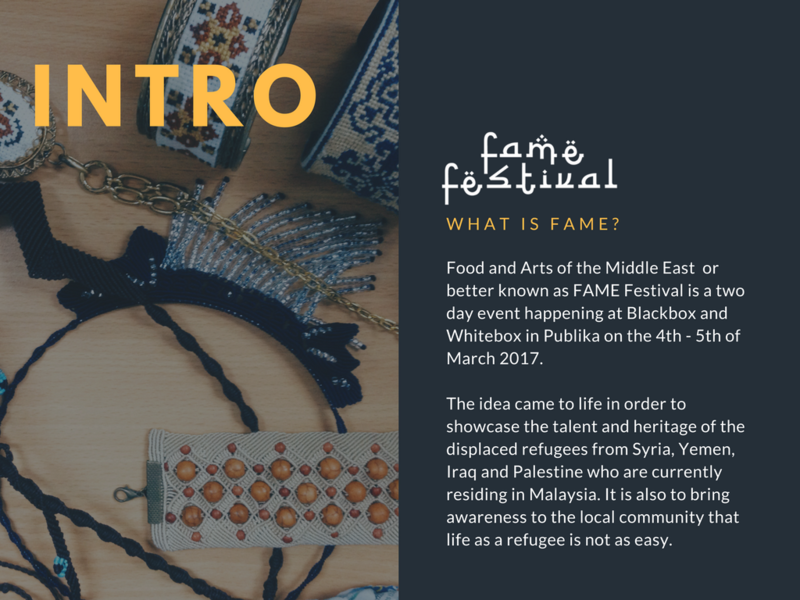 Food and Arts of the Middle East or better known as FAME Festival is a two day event happening at Blackbox and Whitebox in Publika on the 4th - 5th of March 2017. 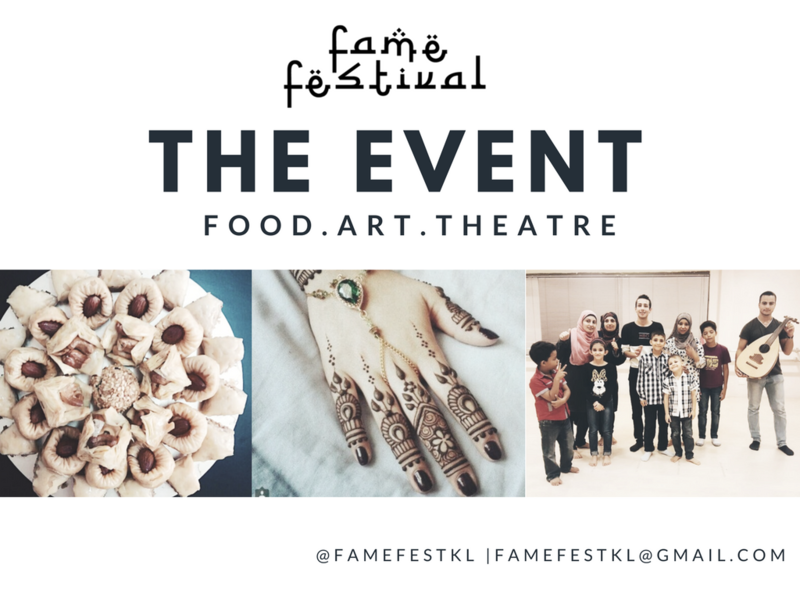 The idea came to life in order to showcase the talent and heritage of the displaced refugees from Syria, Yemen, Iraq and Palestine who are currently residing in Malaysia. 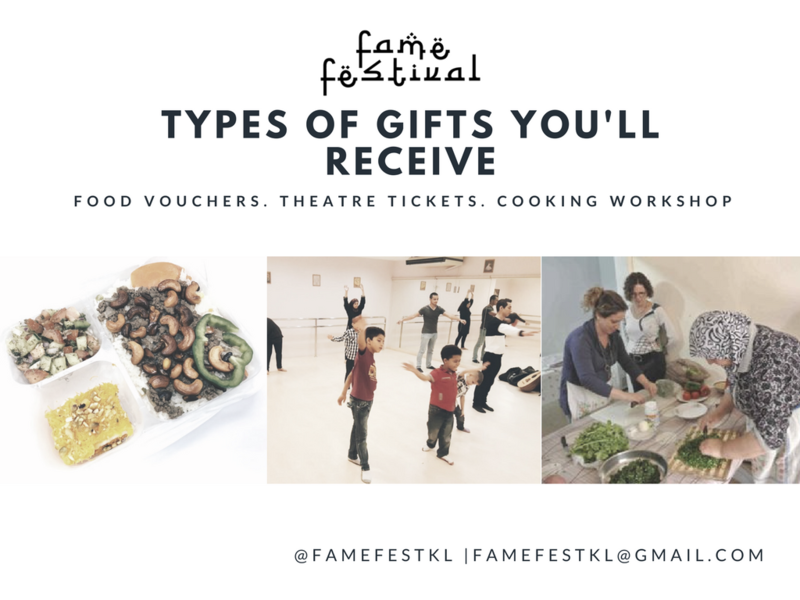 Curated by the ladies at Wavemakers (Sasha, Nadzirah and Rachel), the event will showcase a selection of food and arts and crafts at the bazaar held throughout the day while cooking workshops will also be held at Nathalie's Gourmet Studio for those who want to learn how to cook Arabic cuisine. 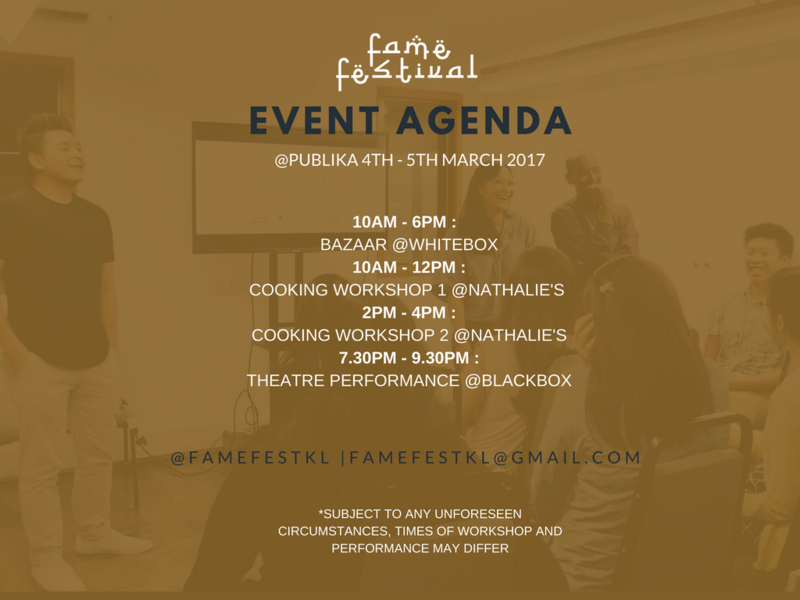 At night, guests can expect to enjoy a moving performance by the refugees which is directed by local actor and TV host Razif Hashim. 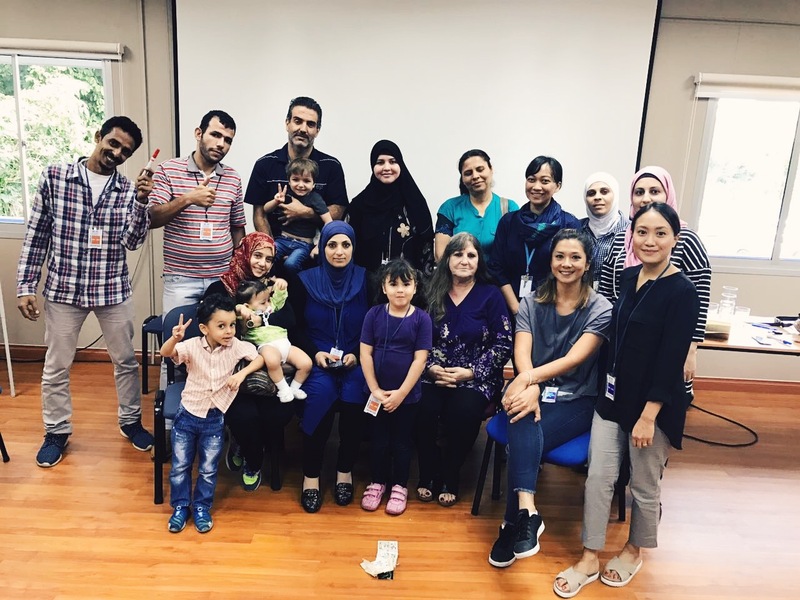 With no access to employment or education, refugees in Malaysia live in conditions that aren't beneficial for the long term. 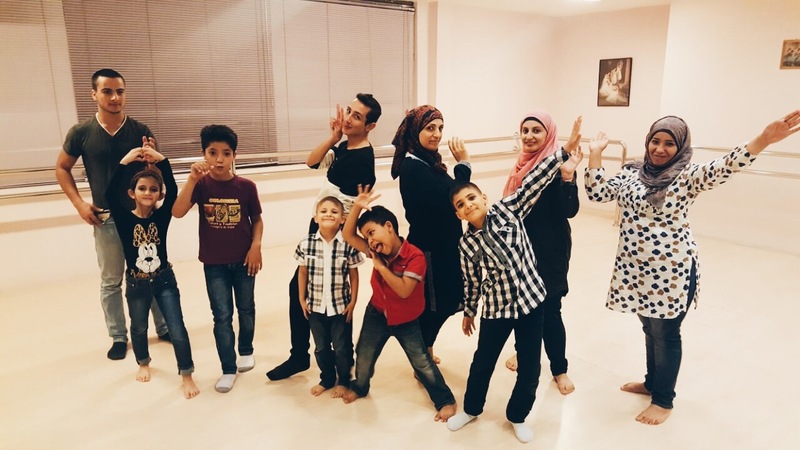 From the constant concern over a chance for resettlement to worries on how to feed their children daily, the struggle of these families are an important reminder of how difficult life is for a refugee. 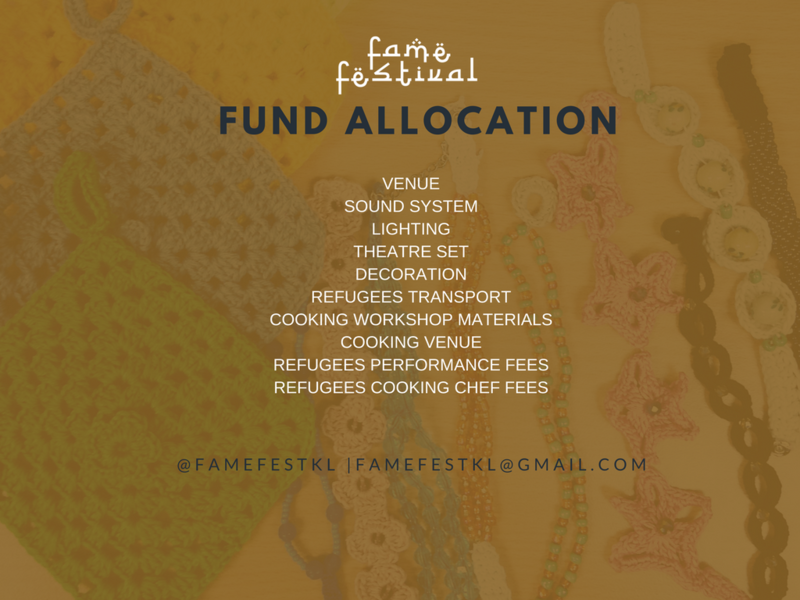 By supporting our cause, you will be able to provide income for 30 families whilst learning to appreciate their cultural heritage. It is a chance to be enlightened while lightening their current burdens. Every help given will certainly go a long way so let us come together and bring our cultures closer. • As this is a Community project, your pitch will be charged instantly.